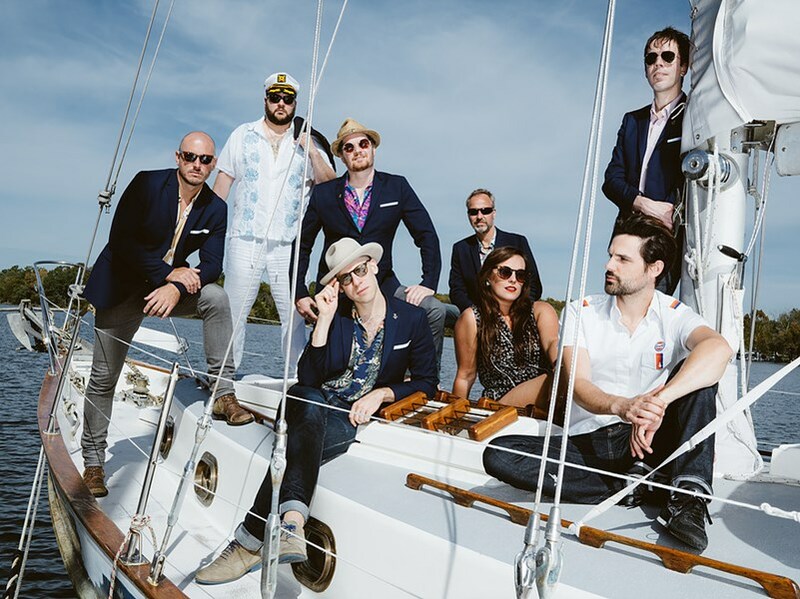 Nashville Yacht Club Band, aka NYC, is an 8-piece Yacht Rock tribute band specializing in dazzling, note-perfect renditions of smooth 70s & 80s hits that will light up your party, wedding or corporate event! No doubt you've heard the songs, with their layers of falsetto male voices singing in perfect, shirtless harmony (The Doobie Brothers - "What A Fool Believes," Christopher Cross - "Ride Like The Wind," Kenny Loggins - "Heart To Heart," Toto - "Africa") and felt the gentle touch of their Aqua Net charms (The Carpenters - "(They Long To Be) Close To You," Captain and Tennille's "Love Will Keep Us Together"), but have you ever experienced the genius of these smooth, hit songs in all their brilliant splendor performed live, and all in one place? 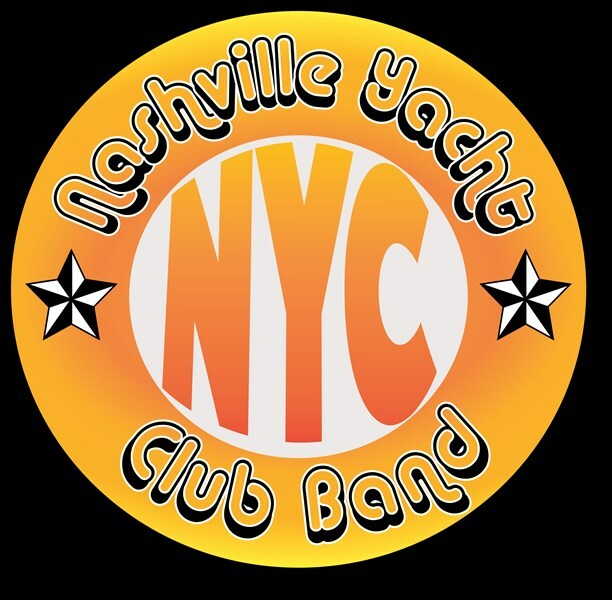 By way of introduction, we present to you NASHVILLE YACHT CLUB, otherwise simply known as N.Y.C. 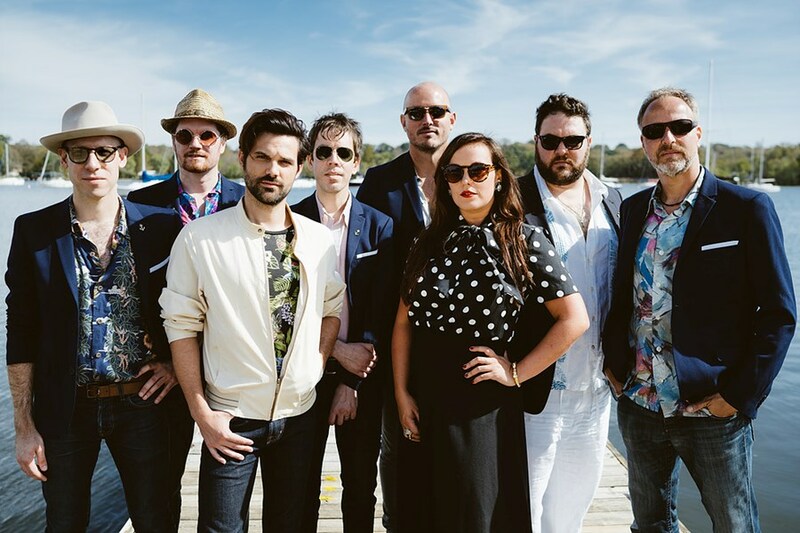 Among the playlist of songs, mostly limited to that 1975-1985 era of Yacht Rock lore, you will hear those smooth, timeless classics come to life as never before, rendered almost completely without irony or jest, in glorious tribute. Ahoy! N.Y.C. features some of the most accomplished musicians in the charted universe! This 8-piece tribute band comprises among its members over a century of collective experience playing live music all over the world. Co-captaining the lead vocals you'll find Cody Belew (The Voice) and Brianna Sage (K'naan, Active Child, Carole King) at the helm, ready to deliver those extraordinary songs you know and love, as well as so many timeless male/female duets of the era. The band members have worked with some of music's most popular acts including Blue Man Group, Carol King, Terence Trent D'Arby, Al Green, Ben Kweller, Taylor Swift, Augustana, Christopher Cross, Colin Hay, Brett Eldrege and more! So, lay back. Kick off your loafers. Grab a Dark n' Stormy. Unbutton that silk blouse, man, N.Y.C. is about to set sail. "With superb musicians and vocalists, The Nashville Yacht Club professionally thrilled thousands at the 2017 Bradenton Area River Regatta which annually attracts over 75,000 spectators on Florida's Suncoast. Their performance and sound was a highlight of the event." "A terrific performance, terrific crowd, outstanding time. Nashville Yacht Club Band was AWESOME!" "I had a chance to see The Nashville Yacht Club band Saturday night at a bar in East Nashville and they're really good!! These professional musicians are straight up killers and Cody Belew is a great frontman. Individually, these folks have worked with the likes of Blue Man Group, Carol King, Al Green, Ben Kweller, Christopher Cross, Colin Hay, Brett Eldrege, and frontman Cody was on team Cee Lo Green for the third season of The Voice! Good moves, good interaction, and a set list of soft rock mega-hits that everybody between 50 and 60 will know by heart. I hope you're seriously considering this act as I know you won't be disappointed!" "Living in Nashville, we get to see some of the best musicians around, so the bar is set pretty high and these guys were right up there with any band we've seen. The musicianship is crazy good. Their sophisticated, groovy blend of tunes were carefully picked to keep the dance floor busy and the vibe fun. We couldn't believe how great these guys were and how much fun we had! I spent a long time in the music business and I truly believe that any age group would love this band. Don't hesitate to check these guys out. I guarantee you won't be disappointed!" "Yacht rock was the perfect genre for my 40th birthday party, and Nashville Yacht Club Band delivered! Cody and crew kept the dance floor PACKED with their smooth 70's and '80's inspired set list....we knew every single song. But more than just great musicians, the band was filled with a great energy and quirky sense of humor I was looking for and couldn't find elsewhere. I had several bands to choose from, and I'm so happy I got on board with Nashville Yacht Club Band. PS - the lap dance from Cody was still the greatest moment of my life. The end. xoVanessa"
Please note Nashville Yacht Club Band (N.Y.C.) will also travel to Madison, Lebanon, Mount Juliet, La Vergne, Hendersonville, Hermitage, Ridgetop, Smyrna, Antioch, Gladeville, Old Hickory, Lascassas, Arrington, Murfreesboro, Nolensville, Brentwood, Norene, Watertown, Gallatin, Goodlettsville, Milton, Auburntown, Castalian Springs, Franklin, Mitchellville, Whites Creek, Christiana, Alexandria, Readyville, Rockvale.